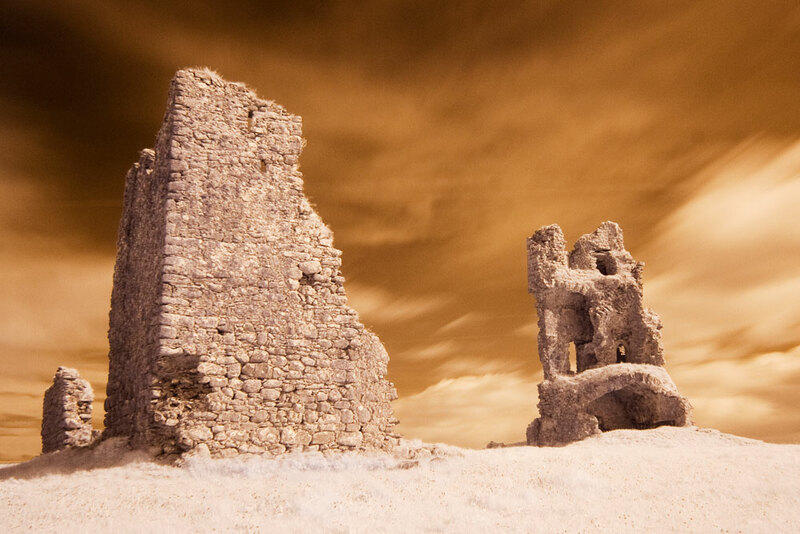 This photograph shows the ruins of Clogharevaun Castle near Loughrea, Co. Galway. To the left of the photograph you can see what remains of the bawn or defensive wall which would have surrounded the castle. The castle itself would have been a vaulted four storey tower house but is in a very poor condition. However the wall walk and a single parapet still remain intact.